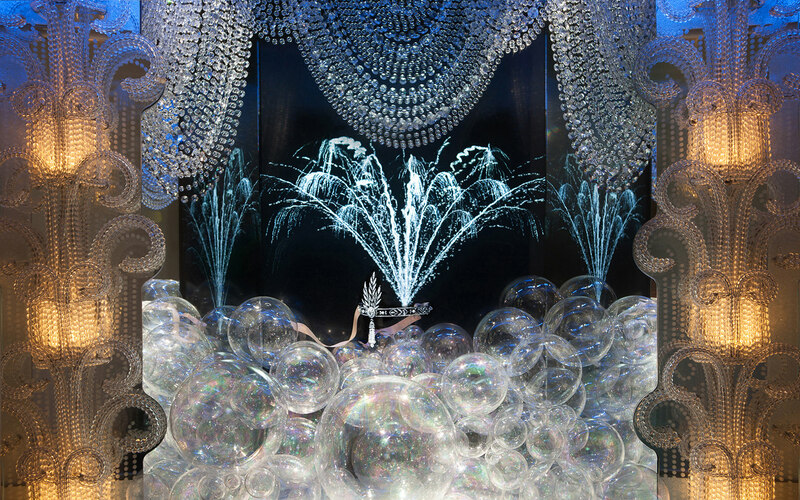 The windows at Tiffany & Co.’s Fifth Avenue flagship store in New York City showcasing The Great Gatsby collection, part of Tiffany & Co.’s 2013 Blue Book Collection. 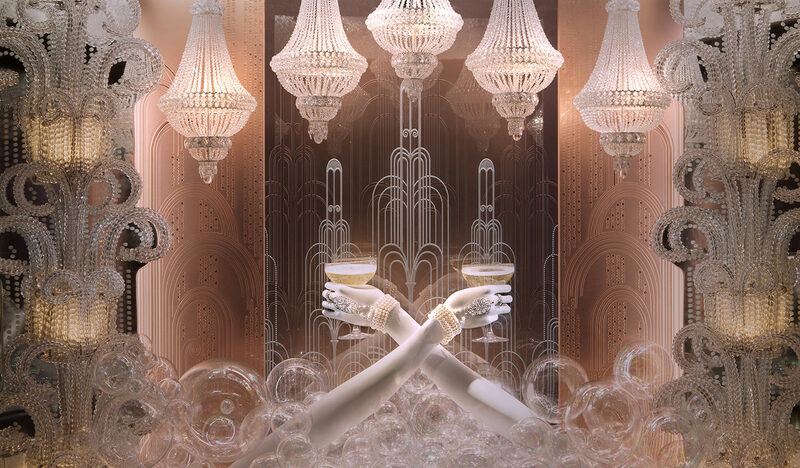 The windows and collection were inspired by director Baz Luhrmann’s film in collaboration with costume and production designer Catherine Martin. The legacy of Tiffany & Co. design is richly told in the annual Blue Book Collection, featuring the company’s most spectacular jewels. Initially published in 1845, the Tiffany Blue Book was the first catalogue to be distributed in the United States. 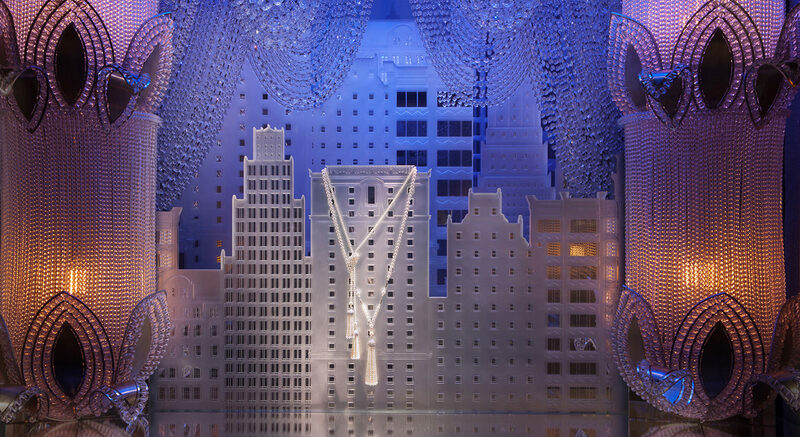 This year’s collection dazzles the eye with an art deco throwback. The jewellery is a blend of geometric shapes and soft curves, encapsulating the glamour of the Roaring Twenties. 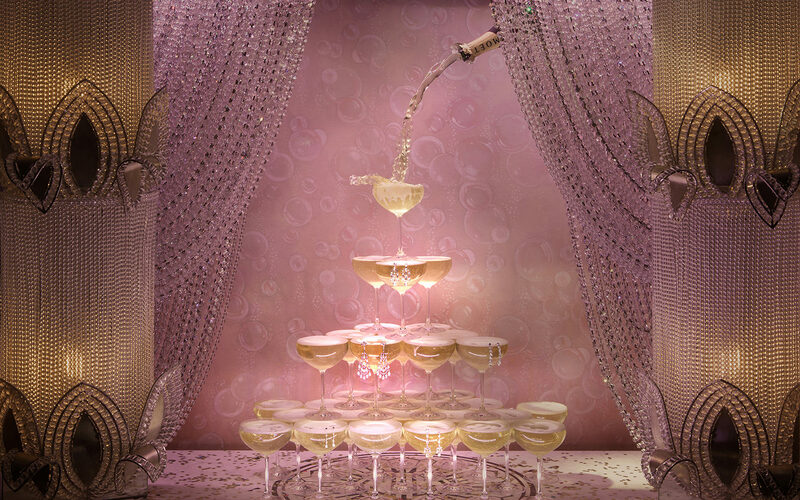 Pieces in this collection—such as the tassel pendant of freshwater cultured pearls with diamonds; the Tiffany white diamond tiara with 8.43 carats of yellow diamonds; and Jean Schlumberger’s fish bracelet with sapphires totalling 73.41 carats, 38.34 carats of red spinels, and 5.77 carats of diamonds—will have every woman believing that dreams really do come true. Photos courtesy of Ricky Zehavi for Tiffany & Co.